The teapot of Braun AquaExpress combines unique design and speed of work - for perfect result. 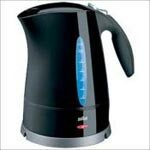 The wireless teapot will boil water for tea, instant coffee and other needs much quicker, than any other household appliance: 250 ml of water in it begin to boil less than in a minute! Never before boiling of water was such fast, easy and safe, and never before the usual teapot was such stylish! 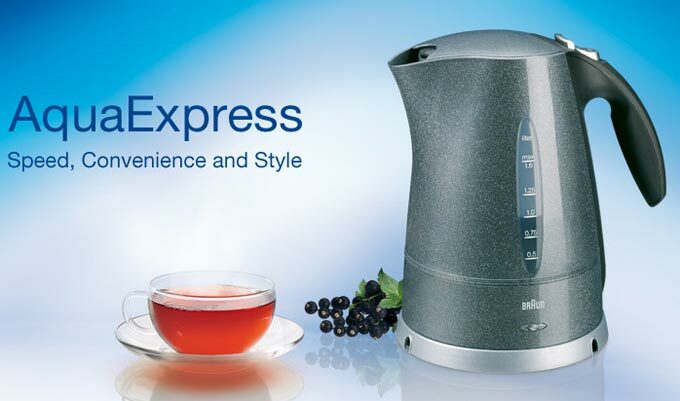 The teapot of AquaExpress is simple in use for all as on it there are two symmetric indicators of water level, and the jug of a teapot can be placed on a heating element from any party: the support rotates on 360 °. Also that a teapot which contains 1,7 l of water, it is possible to fill directly from a water tap through a wide nose is added to all pluses. The built-in removable filter holds a scum from hit in a cup. Buttons of inclusion/shutdown and opening of a cover are near at hand. The closed heating element from stainless steel allows to boil quickly and evenly even a small amount of water. As soon as water begins to boil, the teapot is disconnected automatically. 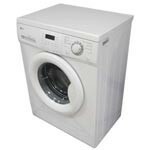 Smooth support and the closed heating element it is very easy and convenient to clean. Feature of a teapot, important for safety, is that it is disconnected automatically when boiling water, in the absence of water in a teapot, at an open cover and also if the teapot is removed from the basis. Buttons of inclusion/shutdown and opening of a cover are near at hand. The closed heating element from stainless steel will quickly and evenly boil even a small amount of water. The teapot is disconnected automatically when boiling water, in the absence of water in a teapot, at an open cover and also if the teapot is removed from the basis. 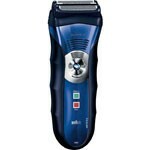 340 Electrorazor Derive pleasure from the smooth and pleasant beginning of day with the new Series 3 razor from Braun. 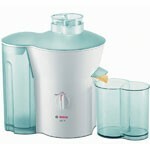 MES 1020 Juice extractor The new universal Bosch MES 1020 juice extractor will prepare for you the real vitamin cocktail rich in microcells and useful substances.